(2016). Synthesis and investigation of thermal conductivity carbon nanotubes: MWCNT and SWCNT. International Journal of Bio-Inorganic Hybrid Nanomaterials, 5(2), 83-94.
. "Synthesis and investigation of thermal conductivity carbon nanotubes: MWCNT and SWCNT". 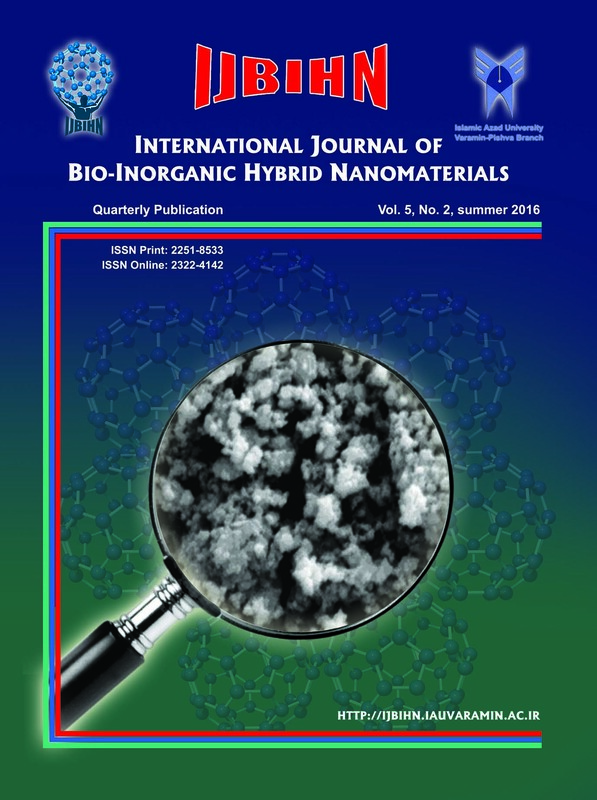 International Journal of Bio-Inorganic Hybrid Nanomaterials, 5, 2, 2016, 83-94. (2016). 'Synthesis and investigation of thermal conductivity carbon nanotubes: MWCNT and SWCNT', International Journal of Bio-Inorganic Hybrid Nanomaterials, 5(2), pp. 83-94. Synthesis and investigation of thermal conductivity carbon nanotubes: MWCNT and SWCNT. International Journal of Bio-Inorganic Hybrid Nanomaterials, 2016; 5(2): 83-94. In this study, Bio-based carbon nanotubes (CNTs) have received considerable research attention due to their comparative advantages of high level stability, simplistic use, low toxicity and overall environmental friendliness. New potentials for improvement in heat transfer applications are presented due to their high aspect ratio, high thermal conductivity and special surface area. Phonons have been identified as being responsible for thermal conductivities in carbon nanotubes. Therefore, understanding the mechanism of heat conduction in CNTs involves investigating the difference between the varieties of phonon modes and knowing the kinds of phonon modes that play the dominant role. In this review, a reference to a different number of studies is made and in addition, the role of phonon relaxation rate mainly controlled by boundary scattering and three-phonon Umklapp scattering process was investigated. Results show that the phonon modes are sensitive to a number of nanotube conditions such as: diameter, length, temperature, defects and axial strain. At a low temperature (<100K) the thermal conductivity increases with increasing temperature. A small nanotube size causes phonon quantization which is evident in the thermal conductivity at low temperatures.